More than ever before, organizations need to reinvent themselves to meet the demands of evolving business environments and to capitalize on unprecedented market trends. This course is designed to provide participants with an insight into challenges organizations are facing today, and into how to embrace agility and resilience as key strategic competencies in this rapidly evolving ecosystem. The course uses a mix of interactive techniques such as brief presentations by the participants, role plays (rehearsed and impromptu), playback of videotaped performances, individual and group feedback, individual exercises, and team exercises. Heriot Watt University: With five campuses around the world, including one in Malaysia and one in Dubai, Heriot-Watt is a truly global university. They have a proud history of world-class teaching and practical, leading-edge research dating back to 1821 and are regarded as one of the top UK universities for business and industry. 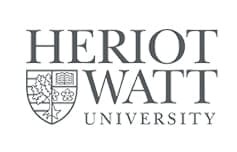 Heriot-Watt has three UK locations in Edinburgh, Orkney and the Scottish Borders. They have a strong track record for developing industry-fit graduates thanks to their strong links to business and industry and their distinctive range of degree programmes in specialist areas of science, engineering, design, business and languages. Heriot-Watt has over 30,000 students studying with them at their campuses and online through distance learning. This includes 9,000 on-campus students in Scotland, 4,000 in Dubai and 1,200 in Malaysia.